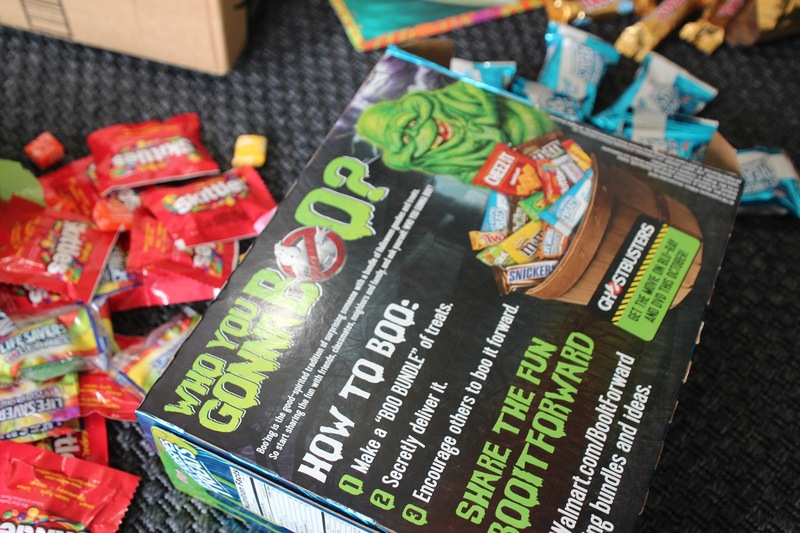 smilingrid: #BOOItFoward this Halloween with Walmart and the perfect BOO kits! 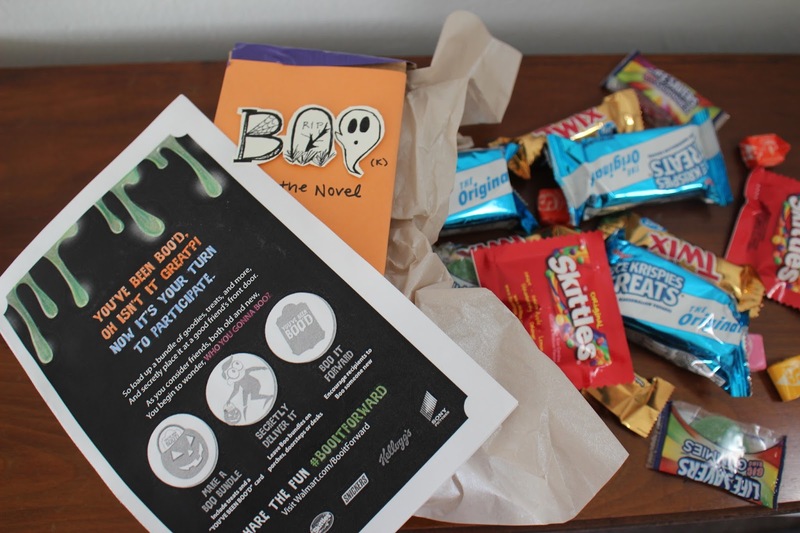 #BOOItFoward this Halloween with Walmart and the perfect BOO kits! Think you can guess my favorite part of October when I was growing up? Surprisingly, it was not Halloween! 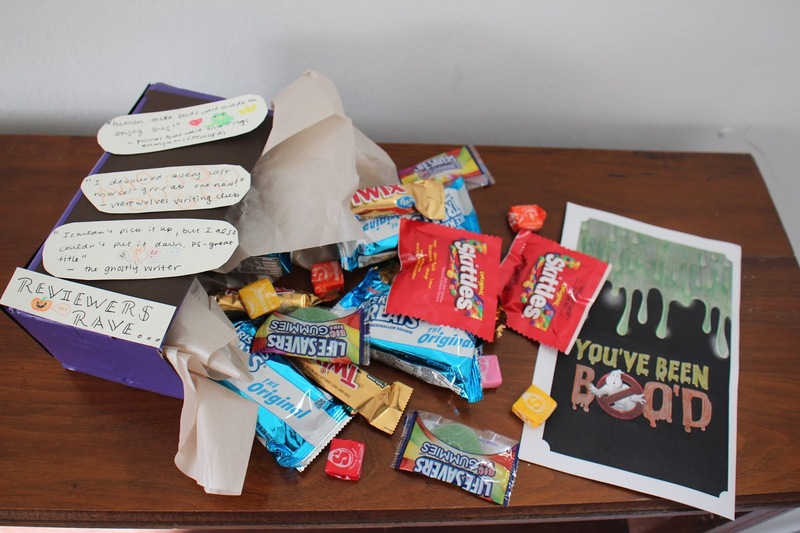 Don't get me wrong, I've always been a HUGE fan of dressing up and halloween parties and trick or treating... but I loved surprises even more! And one thing an annual holiday is not is a surprise. My favorite part of this upcoming spoooookiest of months has always been BOO season! and if you know about BOO season, you know that one stop shopping is necessary in the creation of BOO kits- I shopped Walmart for all my BOO needs, something I'm especially about as they encourage people to #BOOItForward and introduce this amazingly fun October activity to way more people. 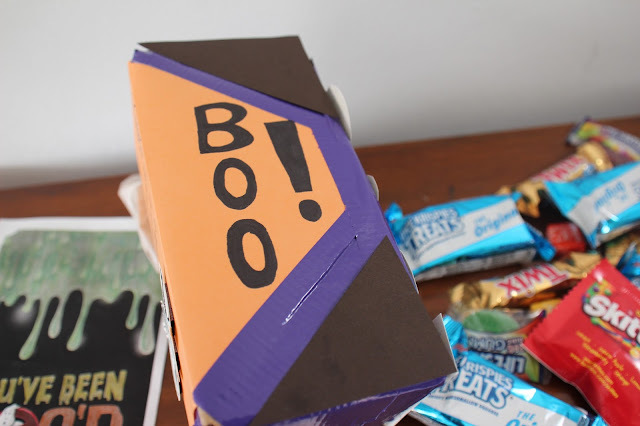 If, like my roommate, you don't know what a BOO kit is, have no fear! 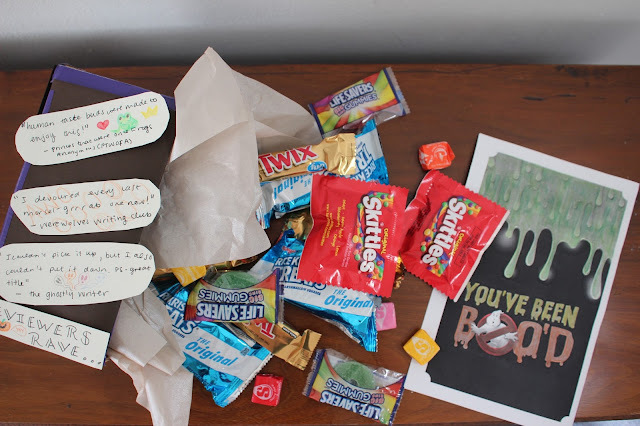 BOO-ing is an amazingly fun activity wherein families (and, also, me by myself because #adulting) sneak around their neighborhoods in order to anonymously drop a candy + treat + all-things-good package on a neighbor's/friend's/stranger's doorstep. They'll also leave a note instructing to continue the thread and #BOOItForward. Surprise candy AND the chance to play ninja/secret agent? Correct me if I'm wrong, but I think my reasoning for thinking BOO season is the best part of October makes perfect sense! A perfect BOO requires a few key ingredients. Most importantly, you have to fill it with yummy things! 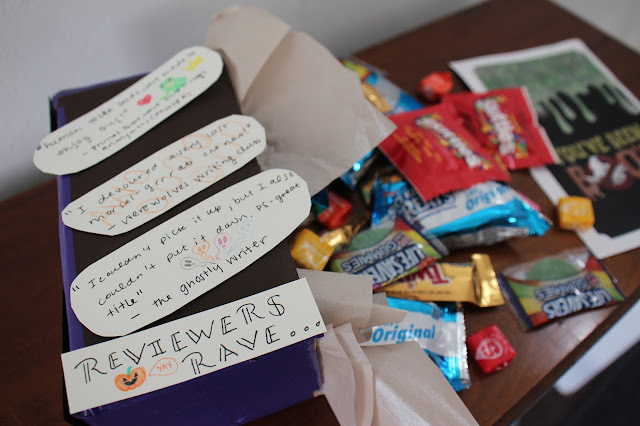 It's a mini Halloween left on your doorstep, folks, so bring on the candy and treats! I like to buy variety packs to include in my BOO kits in order to give people options- something that is especially important if you're BOO-ing someone you don't know as well. Plus, variety is so much more fun! I was able to pick up an amazing (okay, I may have taste tested a few...) mix of Skittles® Original Fun Size, Starburst® Fun Size, and Life Savers® Fun Size and included the delish TWIX® Fun Size for the chocolate-y fix. 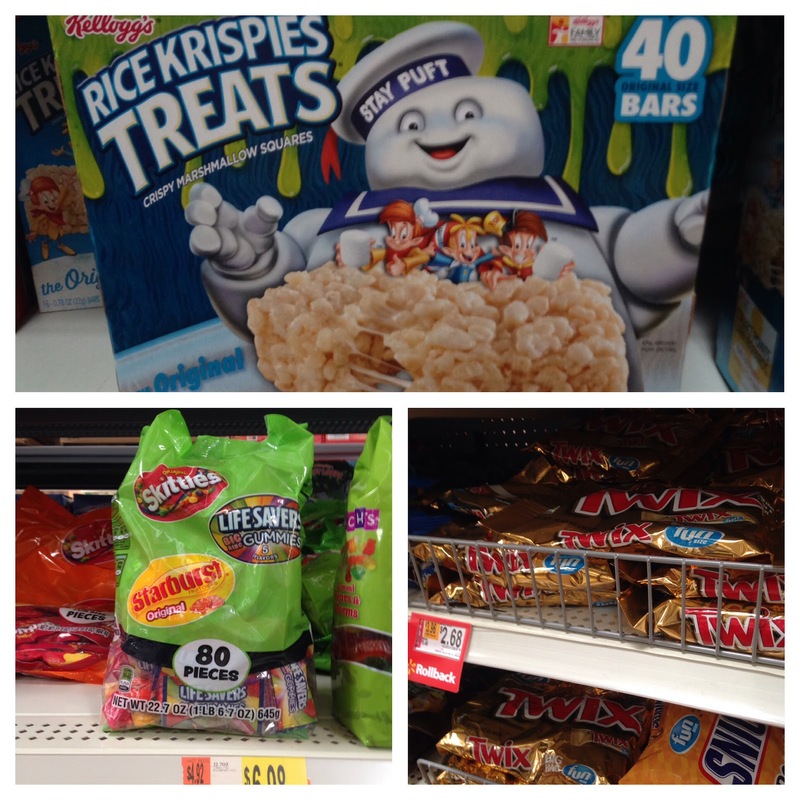 For a non-candy sweet treat, I am throwing in Rice Krispies Treats®, which already have the perfect Ghostbusters® "who you gonna BOO?" branding! Back to the anatomy of the ultimate BOO kit! So, you have your treats... you obviously need something to put them in! The first option is the easy, peasy, out the door and ready to BOO route-pop it in a gift bag and go! American Greetings® makes perfect Halloween and unbranded bags that fit the occasion to a T! Second, I decided to get crafty with it! To thank an amazing co-worker who's been driving me to the train station when the library closes, I created a mini book. I used an empty cardboard box, some colorful envelopes, duct tape, and my goofy little scribbles to present "BOO: the novel" in all it's glory. I chopped a cardboard box that I had lying around into a more book-like shape. Then, using the orange envelope (because, how halloween can you get? ), I created my front cover and used the flap as a fun spine design! I did the same for the back using the brown envelope (tucking the flap inside the box for stability), and then used leftover brown to cover the cardboard triangles on the spine). I tied everything together (and pasted it down!) using purple duct tape. Then, grabbing my blackest and inkiest pens, I started doodling and writing up goofy "reviews" of BOO:the novel, taping them on both the front and back. 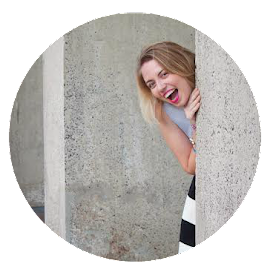 To really elevate your BOO game, adding a surprise to the bundle is next level stuff! If only it were available right-this-minute, I'd have loved to include a copy of the new Ghostbusters® in my BOO kits! A movie night would be the perfect way to introduce yourself to new neighbors, get to know co-workers and classmates better,or even just having a night in with the roommates. Ghostbusters® will be on shelves in Walmart starting 10/11, but if you simply cannot wait until then, it's available for pre-order on both on Blu-ray and DVD now! !